The American Academy of Underwater Science (AAUS) has a prestigious award that is given to an individual who has made a significant contribution in diving safety and diving leadership on behalf of the scientific diving community. It is called the 'Conrad Limbaugh Memorial Award for Scientific Diving Leadership' and it is named after an underwater naturalist and Chief Diving Officer for of Scripps Institution of Oceanography, who was killed in a scuba diving accident in 1960. This year a number of candidates were nominated including Dave Pence, University of Hawaii Diving Safety Officer, and Associate Professor Neal W Pollock from Laval University. The AAUS general membership are then invited to vote. This year the AAUS General Membership has elected Michael R. Dardeau. Dardeau qualified as a scientific diver in 1978, shortly after becoming a graduate student at Dauphin Island Sea Lab (DISL), Alabama. He served as a dive team leader since the early 1980’s and Diving Safety Officer for the DISL Diving Control Board since the early 1990’s. Dardeau oversaw most day to day diving operations, equipment purchases and maintenance, scientific diver training, small boat training and operations and ensured compliance with American Academy of Underwater Sciences standards. In 2004 he was appointed to the AAUS board of directors where he served under six presidents as Statistics Chair and Treasurer. Dardeau chaired the Technical Advisory Committees for the local National Estuarine Research Reserve and National Estuary Program and received over $1 million in extramural funding to construct and support coastal observing systems in Alabama. 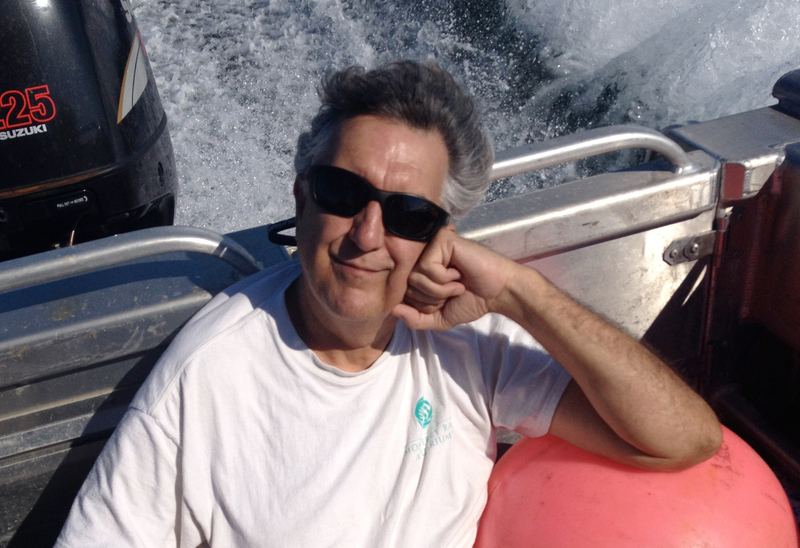 "During my career as a marine scientist, I contributed to over 40 publications including a taxonomic monograph on coral reef shrimp, characterizations of hard bottom communities in the Gulf of Mexico, natural history studies of temperate gorgonians and analyses of AAUS annual statistics." In 2015 Michael Dardeau retired having spent most of his 33 years at DISL as supervisor of technical support and vessel operations.